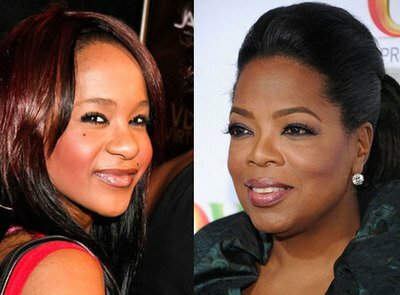 Bobbi Kristina Brown found speaking to Oprah Winfrey on Oprah’s Next Chapter about her mother Whitney Houston’s death a “healing” experience. Bobbi Kristina Brown, 19, who is the sole benefactor of her mother’s will, will see her interview with Oprah Winfrey aired by OWN on Sunday, March 11, and is said to be “really happy” with the way it turned out. An insider told HollywoodLife.com: “She is happy with the way it turned out. The interview really was a healing experience for her and it allowed her to really shed some major emotion, it was almost a form of therapy. Despite Bobbi Kristina being pleased with the interview, it has previously been claimed other members of Whitney Houston’s family are keen to keep her out of the limelight following her mother’s shock death on February 11. A source recently said: “There is still no resolution and there has been nothing concrete on the cause of death, and they were hoping for that. “There were members of the family who weren’t keen on [the interview] going down at this time.